Welcome to Blackpool and Fleetwood Yacht Club. 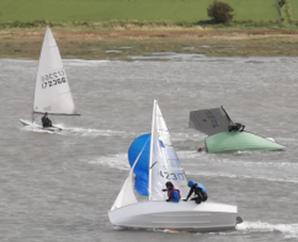 We are a sailing and powerboating club, based on the picturesque river Wyre estuary at Skippool. We have dinghy and keelboat racing fleets at Skippool, as well as an active cruising contingent who venture further afield. We are open at weekends 12:00 to 16:00, with food & drink served from 12:00 to 14:00 , and the bar is also open on Tuesday evenings between 20:00 and 23:00. We welcome new members of all ages & abilities, and don't worry if you don't have a boat - the club has a number of sailing dinghies that members can use for free. Click here for information on membership. For those new to boating, we are a Royal Yachting Association (RYA) accredited training centre and have a number courses available including learn-to-sail, powerboat, and start racing. 2019 sailing course dates are now available here. Look out for our Open Day on Saturday 18th May - this is part of the RYA Push The Boat Out campaign, and if an opportunity to have look round the club and to get out on the water with an instructor in a sailing dinghy keelboat or powerboat. We welcome new members of all abilities, from complete beginner to world champion. This year, we will be hosting our first Flying Fifteen open meeting on 5th-6th May. Click here for details. Lift-In dates for 2019 are now available. Our cruising evening (originally scheduled for 22nd March) has been postponed until autumn. Contact John Swannie for more details. On April 20th we have the LifeBoat dinner at 20:00. The club function room can also be hired out for private parties and events, when not being used by the club. Click here to contact our Catering Manager for room hire enquiries, or phone 07891 853868. Club newsletter for members - the Captains Log. Not receiving this ? Click here for more information. Dinghy Spring series starts this Sunday at 12:15, 3 races. There is plenty of wind forecast.